After a great evening at Scottish Opera’s production of Rossini’s La Cenerentola we had a fairly short sleep and were soon on the road this morning. 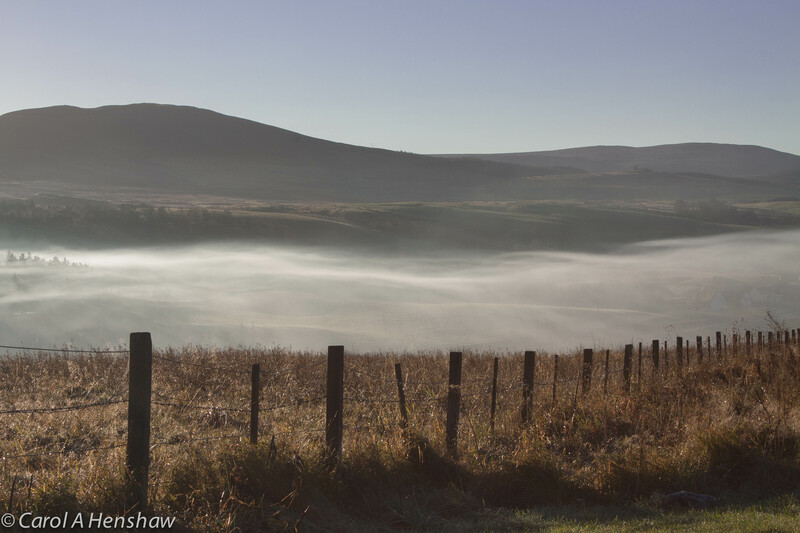 Mist was hanging in the glens as we left Inverness and climbed the Slochd Pass. 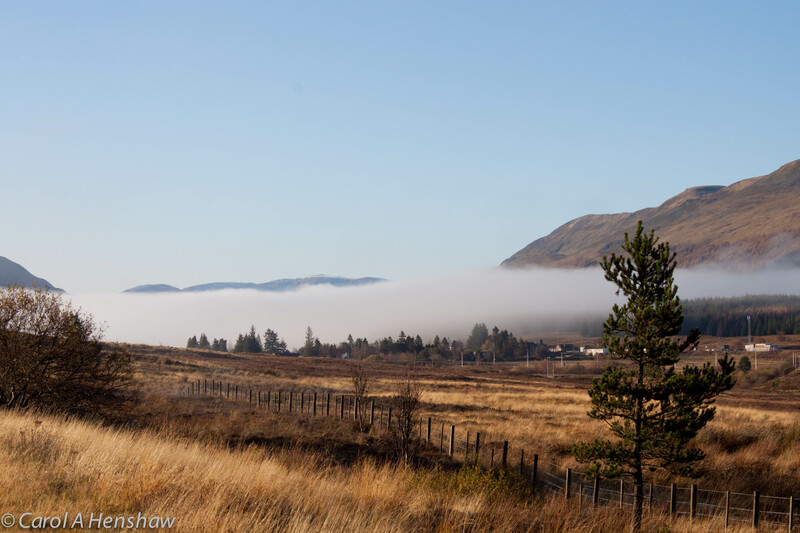 By Dalwhinnie blue sky had reappeared and as we descended into Blair Atholl the tops of the mountains were reappearing. By the time we reached Pitlochry the cloud was higher and many crows were probing in the soft earth in stubble fields for worms. After a quick coffee in Perth we had a very nostalgic drive down the section of the A9 from there to Stirling. The Wallace Monument and Stirling Castle were silhouetted against the morning sun. Further south the southern uplands looked magnificent and it would have been a great day for a hill walk. By the time we got to Johnstone Bridge it was raining but after the border there were only a few more showers and no major problems despite lots of road works. Skeins of geese and a murmuration of starlings were a real reminder that winter is on the way. Nearer home the ‘Order your Xmas turkey now’ signs had appeared at local farms while we were away, whereas the Indian Restaurant keeps its options open by having a ‘Bank Holiday Monday Buffet’ sign up all year – Easter will be the next one.